Delivered to U.S. Navy as Bu. 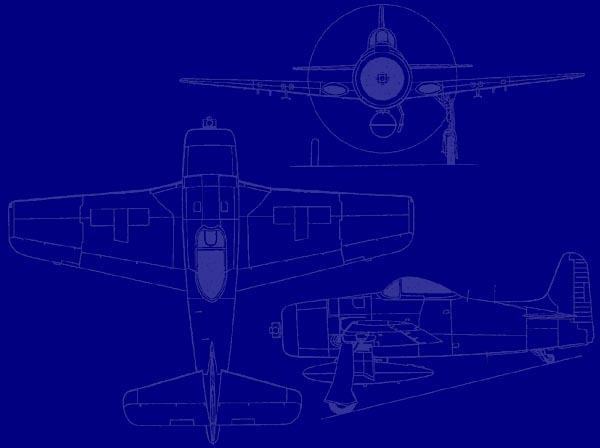 90446. National Air & Space Museum, 1952-1976. - Stored at Silver Hill, MD. Daryl G. Greenamyer, Van Nuys, CA, 1976. - Exchanged with NASM for D.1020/N1111L. George Enhorning/Wolcott Air Service, Wolcott, CT, March 1977-1983. 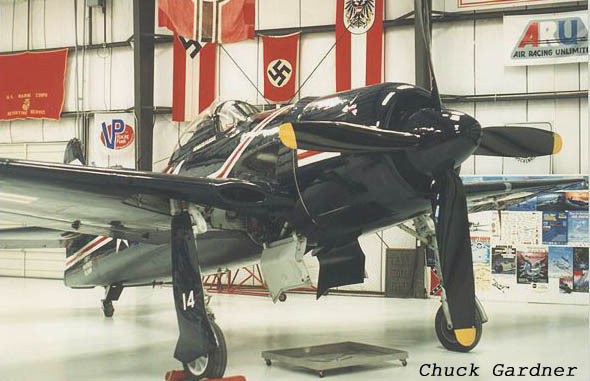 Howard E. Pardue/Breckenridge Aviation Museum, Breckenridge, TX, March 1983-2012. 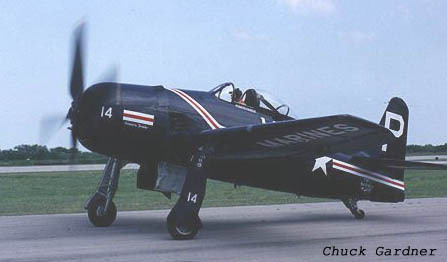 - Flown in Marines scheme as 14P, race #14. - Badly damaged in runway collision with Corsair, Oshkosh, WI, July 9, 1999. - Rebuilt, Breckenridge, TX, 2001-2002. - Damaged when aircraft nosed over on landing, Breckenridge, TX, June 25, 2002. - Crashed shortly after take-off and destroyed, Stephens County Airport, TX, April 4, 2012. 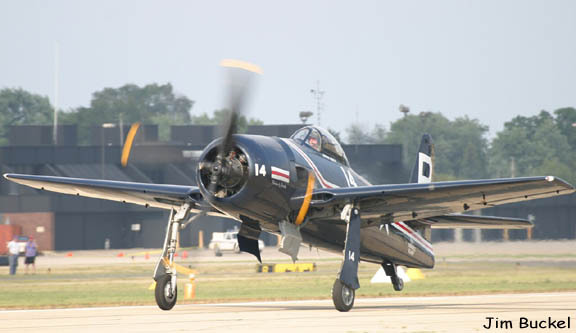 -- Pilot Howard Pardue fatally injured.